If you've seen a Woody Allen film in the last 10 years, chances are you've already seen a better version of his latest film, Wonder Wheel. 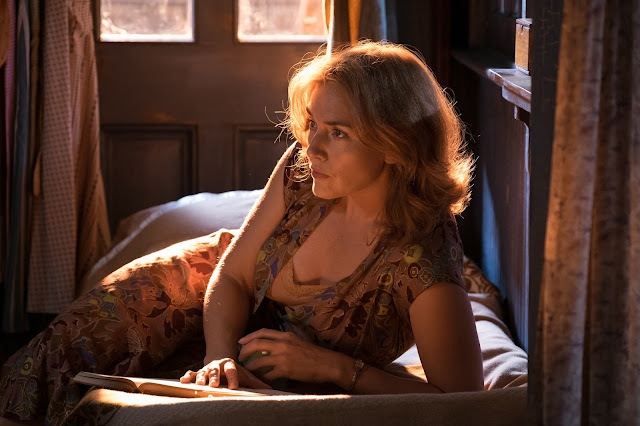 Saying that it is an amalgam of the weakest elements of his last three or four films doesn't really say much for Wonder Wheel, nor does it say much for the later period output of the legendary filmmaker. It's difficult to deny the man's talent, having released more than one masterpiece in his career. And when you're as prolific as he is, well...they can't all be winners. Still, there have been highlights in his recent work - Midnight in Paris (2011), Blue Jasmine (2013), Cafe Society (2016), and his Amazon TV series, Crisis in Six Scenes (2016), have all had something to offer. But Wonder Wheel seems to cherry pick all the things about those films that didn't work, and combine them into something that still very much does not work. Ginny (Kate Winslet) is a waitress quickly approaching 40 and stuck in a dead-end marriage to an alcoholic Coney Island carousel operator named Humpty (Jim Belushi). They live in a run down apartment overlooking the Wonder Wheel, barely scraping by with Ginny's young son from a previous marriage, Richie (Jack Gore), who likes to set things on fire. Their life is interrupted by the arrival of Humpty's daughter, Carolina (Juno Temple), who is on the run from her ex-husband, a mobster, who now wants her dead. Things are further complicated when Ginny meets a handsome young lifeguard named Mickey (Justin Timberlake) on the beach, and begins to fall in love. But Mickey, it seems, has eyes for Carolina instead. Allen takes the love triangle and mobster subplots from Cafe Society, mixes it with the midlife crisis histrionics of Blue Jasmine, and throws in some of Magic in the Moonlight's stilted dialogue for good measure. Those who have grown exasperated with late period Allen will find little to change their minds here. Winslet and Belushi do they best they can with Allen's awkward dialogue and static blocking, but there's only so much they can do. The real highlight here is the cinematography of Vittorio Storaro (Apocalypse Now, Last Tango in Paris), who takes the glowing colors of the Coney Island midway and projects them onto the faces of the actors in breathtaking ways. The way he paints with color is nothing short of stunning, and his work makes Wonder Wheel one of Allen's most beautiful films, up there with Manhattan and Shadows and Fog. Storaro easily steals the show, and it's almost worth watching for his work alone, even if its in service of one of the director's weakest films. With its toothless character drama, grating narration, and overall feeling of lethargy, one can't help but feel that Allen's heart wasn't really in this one. Wonder Wheel is the reheated leftovers of better films, elevated by some truly extraordinary camera work by a legendary cinematographer. But even Storaro's gorgeous color palate can't mask the fact that we've all been here before. 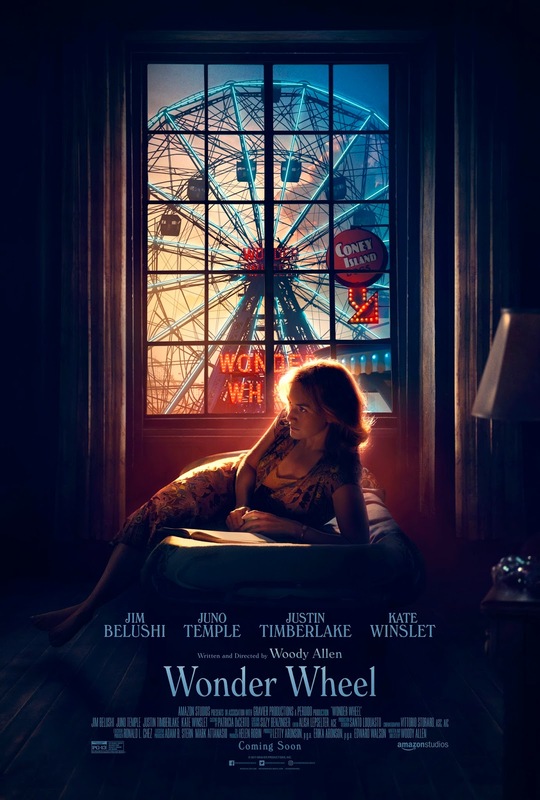 WONDER WHEEL | Directed by Woody Allen | Stars Kate Winslet, Juno Temple, Justin Timberlake, Jim Belushi, Max Casella, Geneva Carr | Rated PG-13 for thematic content including some sexuality, language and smoking | Opens today, Dec. 1, in select theaters.